Justice and public safety professionals are constantly subjected to the pressure that comes with the nature of the job. On top of this, criticism from other people adds another layer of stress. Despite their utmost effort, somehow, there will be someone – a colleague, a superior, the community, people who don’t know them – who have their eyes set on their next slip-up or failure and are just vocal enough to point it out. 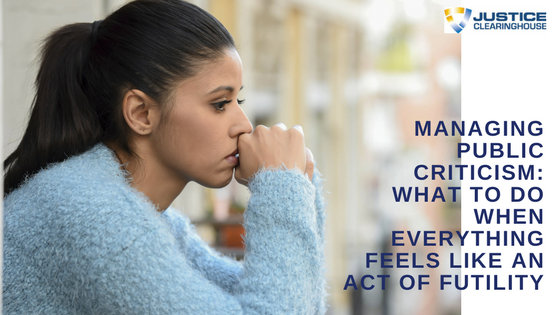 Criticisms can take a mental toll on an individual and can be pretty tough to deal with. On this course, Amy Morgan will provide guidelines and tips on how to deal with criticism in a healthy way. Amy is the Founder and Executive Training Director of Academy Hour. Academy Hour provides training in the field of mental health and leadership to law enforcement, first response teams, and public safety personnel. Amy has an extensive experience in the field of behavioral sciences and its application to the law enforcement field. Amy is today's esteemed guest speaker and she'll deep-dive on how to handle criticism. An overview of how criticism, when not handled properly can have tragic outcomes as observed in the suicide cases for kids due to peer criticism and bullying. 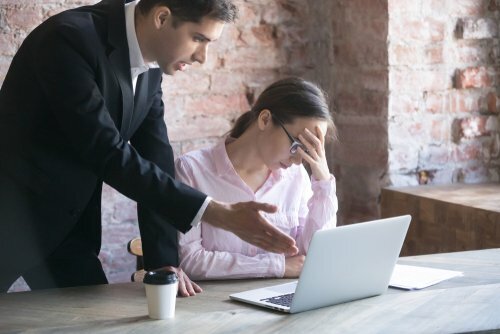 How to best handle criticisms by not responding immediately and first deciding whether to respond negatively or positively, undergoing self-assessment if the criticism is true, and if there's anything one can do to improve and address the criticism. The difference in intention between constructive and destructive criticism and how to determine one from the other based on the intention. The problem that arises when a person tries to please everyone. How criticism can happen to anyone and examples of careers that must perpetually face criticisms. The importance of considering the source of the criticism when assessing how it should affect an individual. Questions to reflect on what the impact of a criticism should be in relation to the critic. The two important factors that influence the weight of a criticism can have on an individual. Responding and preparing one’s self for criticism. The importance of balancing the negativity from criticism with positivity. Tips on how to fix brain chemistry through positivity coming from encouraging people, hobbies, physical activities, and personal affirmations. Law enforcement-specific tips and reminders to keep positive and uplifted in the face of criticism.